Adam Lallana is set to make a landmark appearance when Liverpool play Premier League leaders Manchester City at Anfield on Sunday. 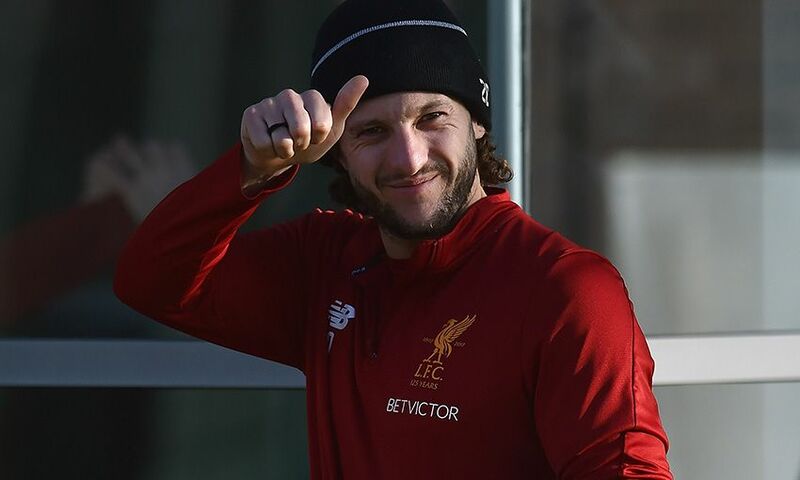 England international Lallana is in line to play the 400th game of his club career when the Reds take on City - 130 of those have been for Liverpool. Last season at Anfield, the Reds beat Pep Guardiola's men 1-0 with Georginio Wijnaldum's eighth-minute header deciding the game. That victory was their 50th in the league against City at Anfield. Since the inception of the Premier League, the Reds have lost just one of their 20 meetings with City at home, winning 14. Liverpool have scored in each of the last 23 league clashes at Anfield. No visiting team has scored more than once in the league at Anfield this season. The Reds have conceded fewer at home (four) than any other Premier League team. Edin Dzeko is the last player to score for City at Anfield, doing so in his side's 2-1 defeat in March 2015. Former City striker Daniel Sturridge is just two goals short of reaching 50 in the league for Liverpool. Roberto Firmino scored his first Reds goal at the Etihad Stadium in November 2015 in a 4-1 win. Sadio Mane scored a hat-trick for Southampton against City in May 2016, his team winning 4-2 at St Mary's. Virgil van Dijk also played that day. Van Dijk was in the Saints team beaten 2-1 by City at the Etihad back in November. A win would see Liverpool record four successive league victories for the first time since December 2016 - the team they defeated in that fourth game last season was... Manchester City.